Earlier this morning Def Jam sent our an official press release to announce Kanye’s upcoming short art film, Cruel Summer. The forthcoming G.O.O.D. Music album will also be released under the same title. Cruel Summer is set to debut at the Cannes film festival on May 23 and will also feature a 2-day art installation that will be open to the public for 2 days. The short is said to be a seven screen visual experience. Prior to this announcement, ‘Ye was spotted filming in the Middle East. Inspired by the new G.O.O.D. 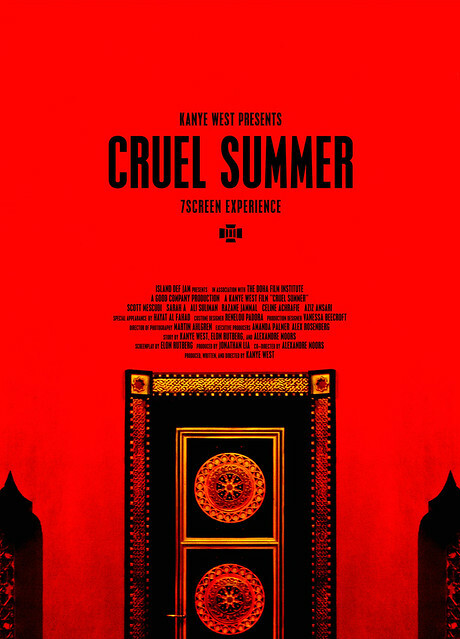 Music album of the same name, CRUEL SUMMER is a fusion of short film and art installation; an immersive “7 Screen Experience” for the eyes and ears unlike anything West has attempted before. The RSVP function isn’t working on the website…. I WANT TO GO! !